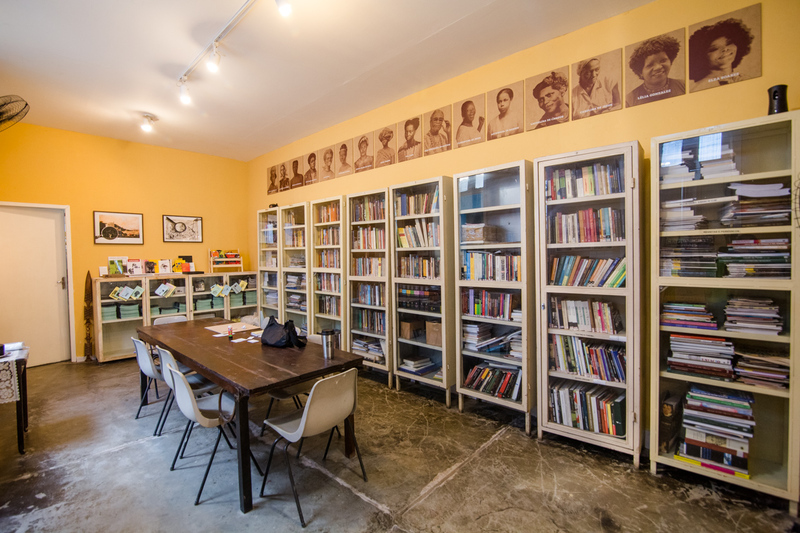 The mural of the Black Heroines is a permanent installation at the library of the Pretos Novos institute in Rio de Janeiro. 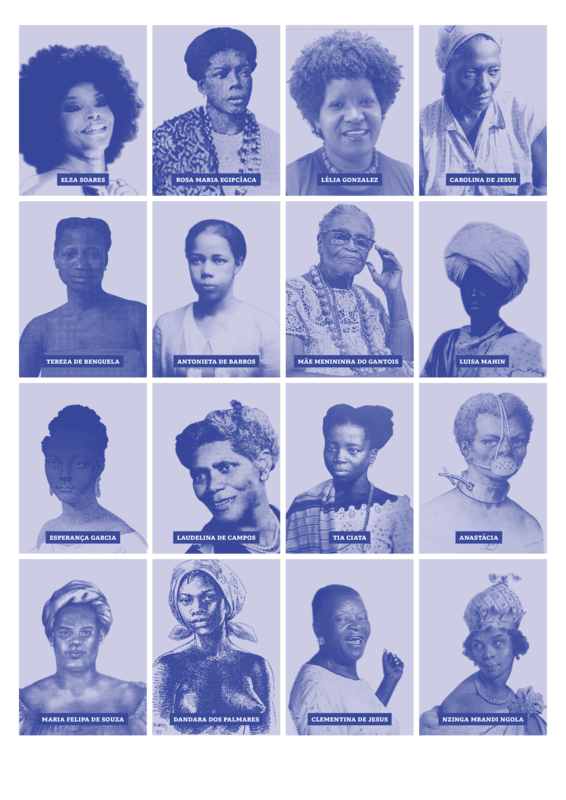 It consists of a portrait gallery of Black heroines in Brazilian history. In this version, only sixteen of hundreds of Black heroines are portrayed ranging from powerful and influential women during the times of slavery, to politicians, priestesses and singers during the 20th century until contemporary artists and feminist writers. In the library one can also consult their short biographies, in addition to the hand printed volume about of each heroine as created by Black author Jarid Arraes written in a poetic/pulp fiction style typical of Northeastern Brazil, the "cordel". 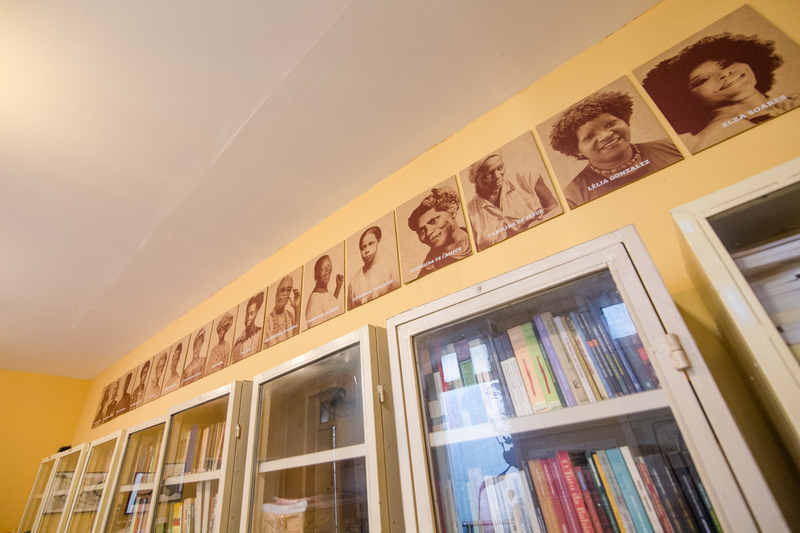 O mural das heroínas negras é uma instalação na biblioteca do Instituto Pretos Novos com retratos de heroínas negras na história brasileira. Antonieta de Barros (1901- 1952), journalist and politician, pioneer in anti-discrimination laws in Brazil specially focused on women. Maria Felipa de Souza (1790? - ? ), heroine of the resistance and independence movement in Bahia, having defeated the Portuguese in the island of Itaparica, Bahia. Laudelina de Campos Mello (1904-1986), organizer of Black associations and events celebrating Afro-Brazilian culture. Lélia Gonzalez (1935-1994), anthropologist, writer, and feminist, helped in the foundation of several Black political and cultural organizations placing Black women's demands on the political agenda. Luisa Mahin (1785 -? ), born in Africa and enslaved in Brazil, belonging to the Mahi tribe of Muslim faith. She was involved in the leadership of several revolts in Bahia, and mother of the famous abolitionist Luís Gama. Mãe Menininha do Gantois (1894-1986), famous Iyalorixá (priestess in Candomblé) from Bahia, responsible for articulating the end of the prohibition of candomblé begun the 1930s and only revoked in the 1970s. She is known for having opened candomblé to other religions and increasing the respect and understanding for Afro-Brazilian religions in a predominantly Catholic society. Nzinga de Angola (1582 - ? ), queen in Angola, warrior of the resistance against colonization and the Portuguese slave traders in Africa.